Place cubed chicken breasts into a food processor and blend until it forms a smooth paste. Transfer to a medium bowl and add parsley, onion powder, garlic powder , salt and pepper. Mix well. Put the flour in a bowl, season with salt and pepper. Put beaten eggs in another bowl and breadcrumbs in a different bowl. Place those 3 bowls close to the chicken mixture, to make it easier to work with. Heat the oil in a skillet over medium heat. Roll out the chicken into small balls, about 1 tablespoon each, and flatten them using the palms of your hands to form the nugget shapes. 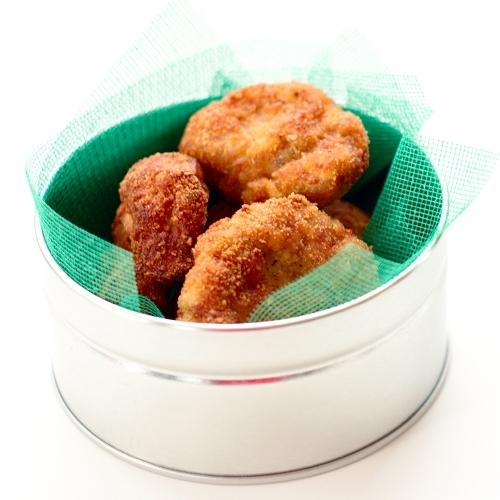 Cover each nugget with flour, then dip into the egg, and cover with breadcrumbs. Repeat the process with the remaining nuggets. 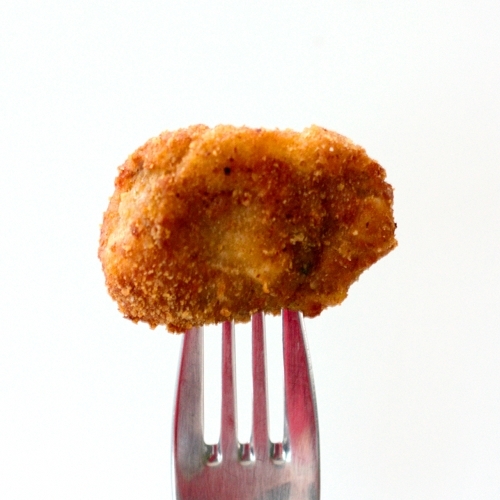 Fry the nuggets in hot oil, until the chicken is cooked through and turn golden brown (about 4 minutes per side). Remove from the oil and drain the excess grease using paper towel. Serve warm. Those look delicious, and about a million times better than McD's. Okay, my deepest prostrations and humble adoration! These look soooo good, and they can only be so, so much better for you! Sure a bye to Mc.D .... Very healthy n tempting nuggets!! Do drop by my space n hope u'll join it too.. Thanks for visiting, Julie. I stopped by your lovely blog and followed you already. Looking forward to swap recipes with you. Wow! This one's definitely looks and must taste divine that the store bought kind! THanks for sharing! Wow. A couple of things: 1) you can come over anytime, I have plenty of forks and 2) I can't believe you made chicken nuggets!!!! They look so delicious and WAY better than fast food. I also love the fork picture. so funny i was JUST thinking about making these for superbowl. 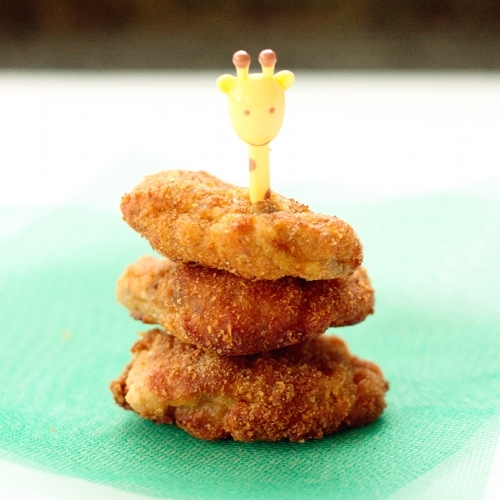 i walked past a mcdonalds like night was thought to myself, "wish i could get some chicken mcnuggets and not feel terribly guilty..."
make them myself! thanks for the recipe! By the way, I love your blog. It rocks! They are :) And no more mystery meat!